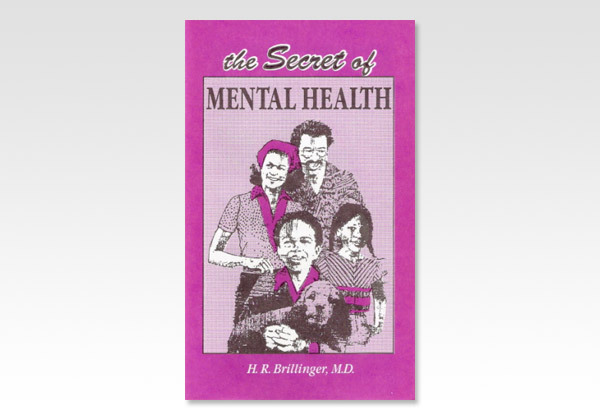 Author: Brillinger, H. R. MD. We are being confronted these days with much advice from psychiatrists and psychologists regarding mental health. The average person is becoming more and more aware of the increase of mental illness and is watching the progress of medical science in the treatment of these conditions with keen interest. Many people are wondering whether or not Christianity has anything to offer by way of treatment or even prevention of mental illness. The answer will be found in the Bible. The term mental health implies the normal, well-balanced, happy experience of one who is conscious of being at peace with God and in a state of goodwill towards mankind. Mental health is a positive experience. It is not just the absence of mental illness. It is not just sanity as opposed to insanity. It is a positive sense of well-being. It is the very joy of living itself. "True and lasting mental health results from a feeling of oneness with God. This is the belief of an increasing number of psychiatrists and psychologists. But more importantly, it is the distinct teaching of the Bible." - H R. Brillinger, MD.